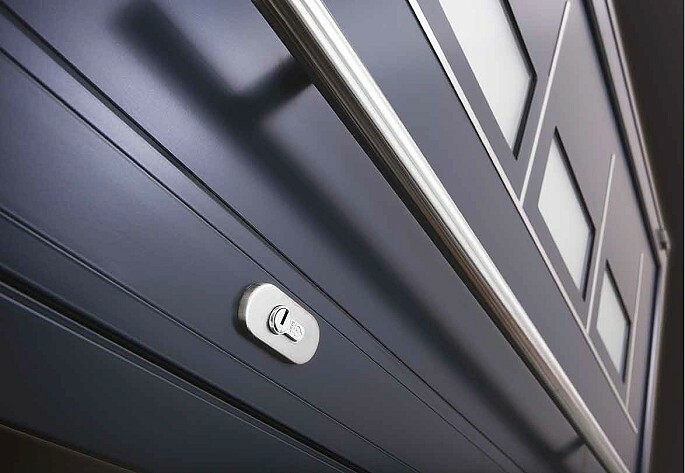 Unlock your home’s potential with the Origin Residential Door, where security and aesthetics are superbly combined. thing of beauty. Manufactured with a high-grade aluminium, it’s available in a vast range of striking panels, designs and styles, enabling you to create your desired look with ease… Because first impressions matter. Stunning contemporary style with our Origin aluminium front doors. As the Origin Residential Door is completely bespoke, it can be tailored to you, so it personally reflects your home’s style and character. 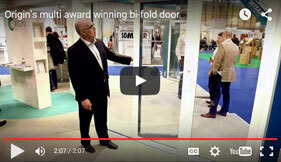 Manufactured precisely to your size, taste and colour scheme, there’s an Origin Door out there for you. So whether it be for a new-build, an existing property, a modern apartment or even a garage, our doors are guaranteed to make an impact, turning your entranceway into a truly unique focal point. Make a statement: from modern to traditional, there’s a panel for every taste! External doors can make a huge impact on the kerb-appeal of a home – and with 35 innovative and classically-stylish panel choices to choose from, Origin allows you to design a perfect statement door that complements your existing architecture and reflects your individual style. The panel is manufactured with a highly efficient Thermimax core, and is finished with aluminium inner and outer layers, so you can be assured of optimum thermal and security performance. Whatever your colour preference, with over 150 different RAL shades to choose from, you can be sure to find one that suits your taste – no matter how subtle or outrageous it may be. ** Ranging from bright primary shades through to candy pastels and deeper earthy tones, the extensive colour palette is guaranteed to offer inspiration to homeowners and interior designers alike. ** We also offer authentically styled woodgrain effects, which offer all of the benefits of aluminium with none of the maintenance requirements that wood often needs, providing the best of both worlds. ** Many of our RAL colours also come with the option of a matt, satin or gloss finish, giving you plenty of choice to make a great first impression. ** Additionally, we offer a dual colour option. This is offered on the frame, sash as well as the panel, so this means that the exterior colour(s) can complement the building style, while the interior can blend in or contrast with your internal colour scheme. For further information on our aluminium front door range from market leader Origin Global, you can download the PDF brochure here >> See our brochures and videos page for all our product brochures.